The average selling price for a home in Carlton has slipped to $438,833 so far in 2017. However that is based on only 3 sales and 1 of those sales was a smaller back laned home. I expect the average sold price in Carlton to rise in the coming months as more homes sell. In 2016, the average sale price for a single family detached house in Carlton was $459,474. 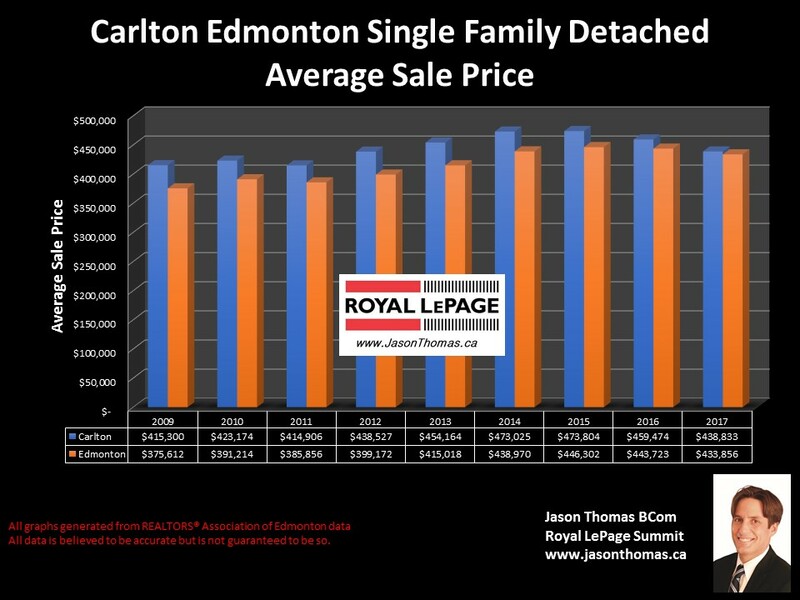 The average time to selll a house in Carlton Edmonton last year was 59 days, that is a lilttle slower than the Edmonton average days on market in 2016 of 50 days. Click on Carlton homes for sale in Edmonton to see all the current listings.